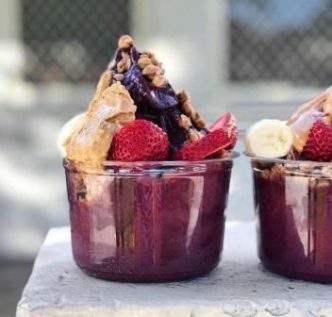 Everyone is constantly looking for the next great health trend, but if you are craving an old favourite, you can’t go wrong with an acai bowl from Fruitologist at Bondi. They are generously served, topped with fresh berries and granola for $10, and they have a range of extras on their menu you can add, including peanut butter. Yum! Fruitologist is the place to go to get a freshly made acai bowl to kick-start your day or to treat yourself after a nice walk on the beach. Grab a bowl and sit on the beach or the picnic crates set up nearby.